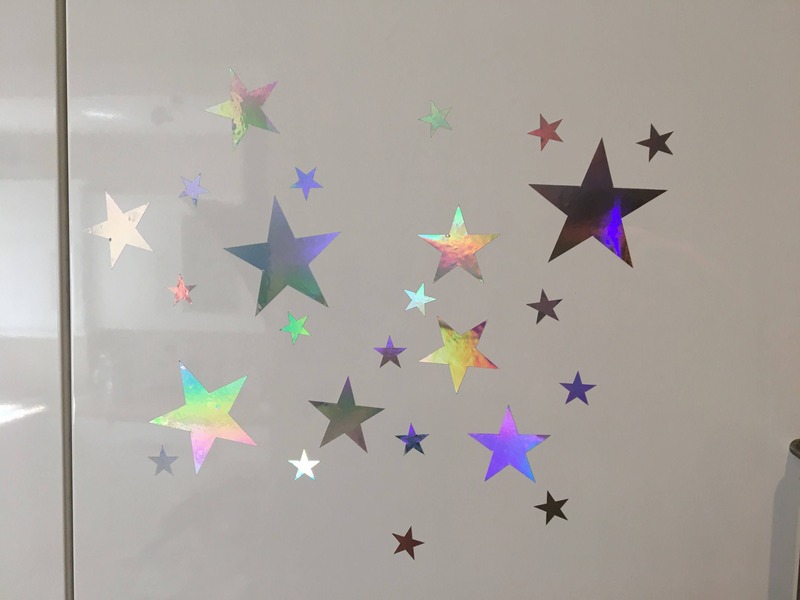 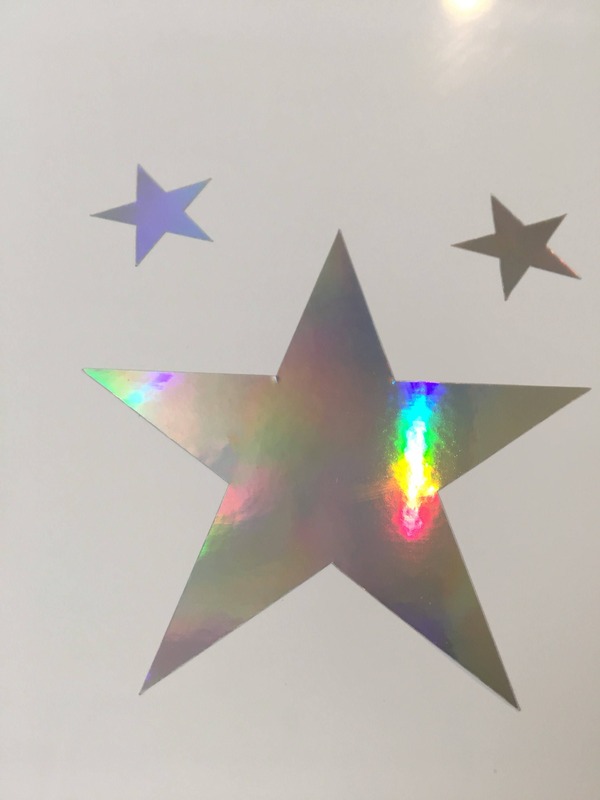 A set of 120 amazing, ultra shiny silver rainbow star wall stickers. 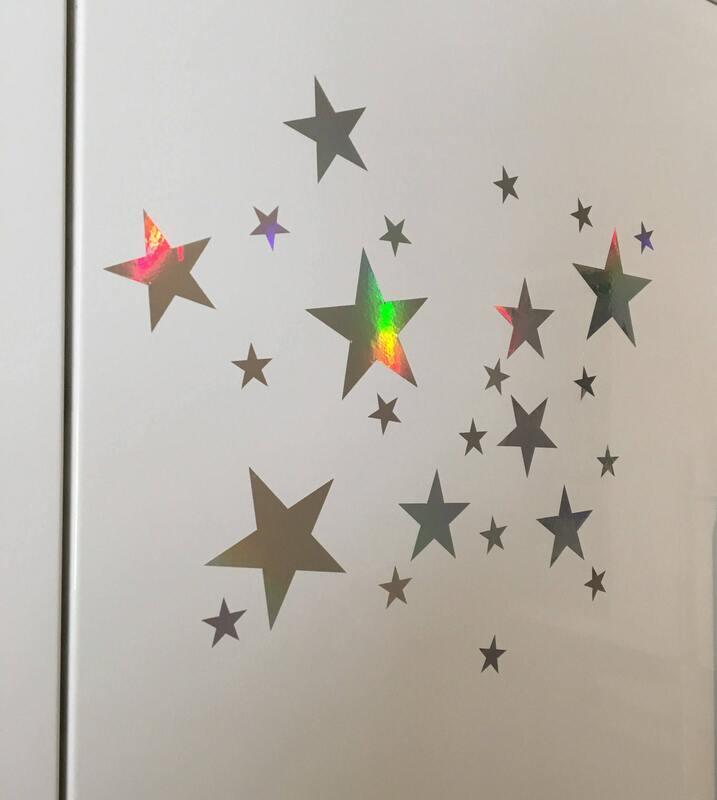 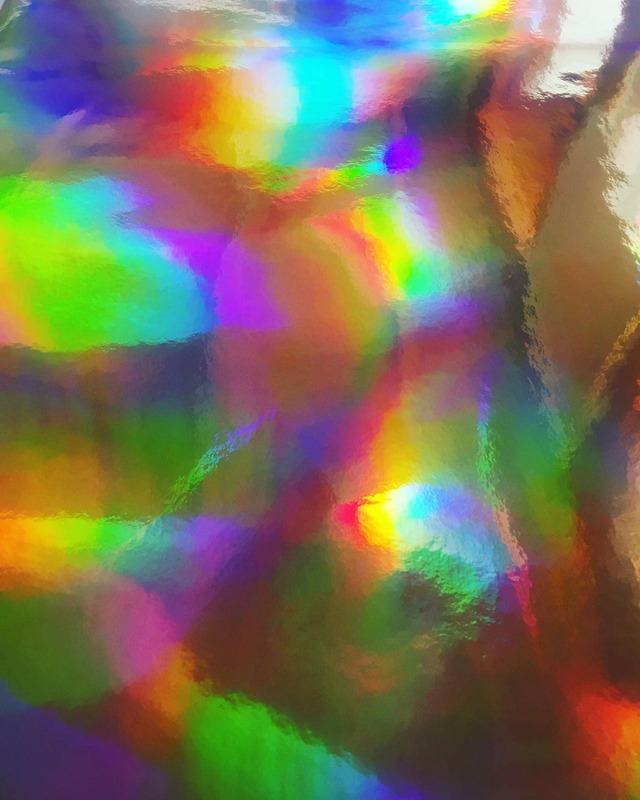 These look incredible on the walls, as they reflect the light, giving off a rainbow multi coloured shine from all different angles. 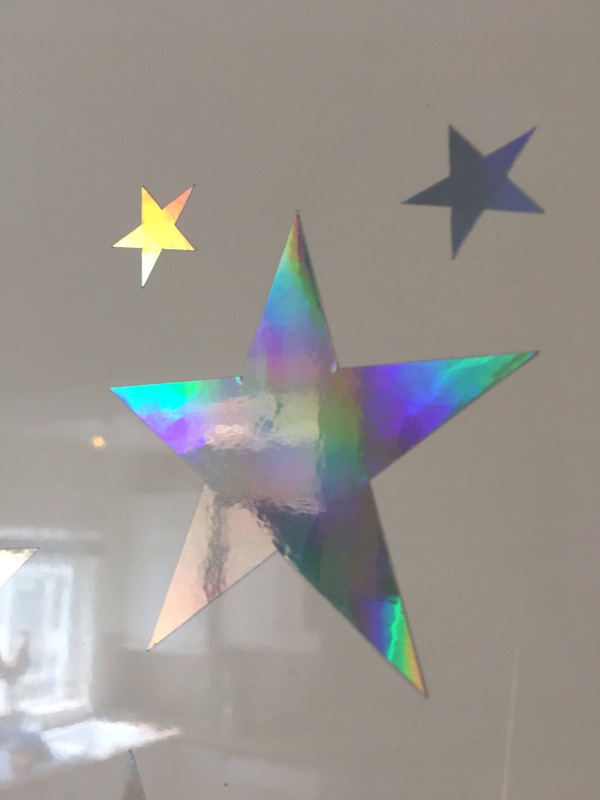 - Simple to apply, just peel and stick in which ever pattern you wish. 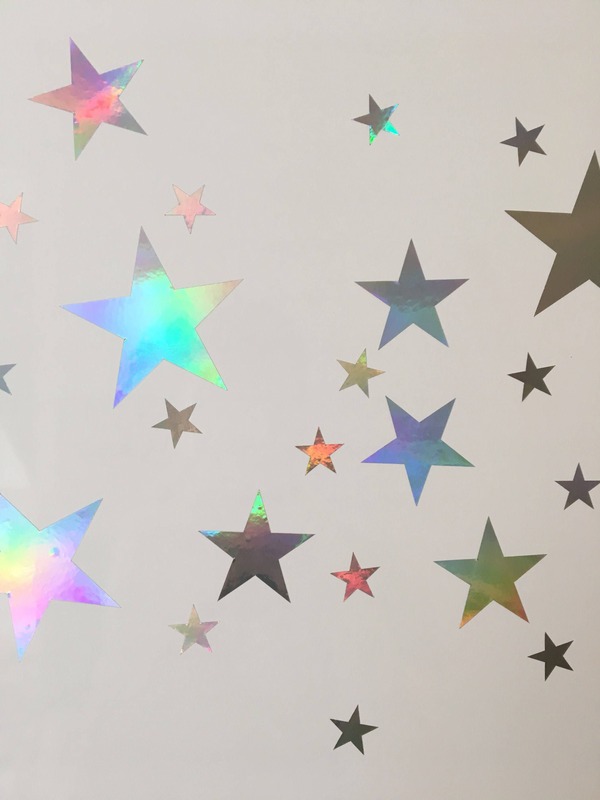 I brought these stars for baby’s nursery, they look lovely!